The details of Frank Turner‘s new album are out! The new album of the British folksinger will be called Tape Deck Heart and has its release on April 22nd. You can find the tracklist and pre-order details below. 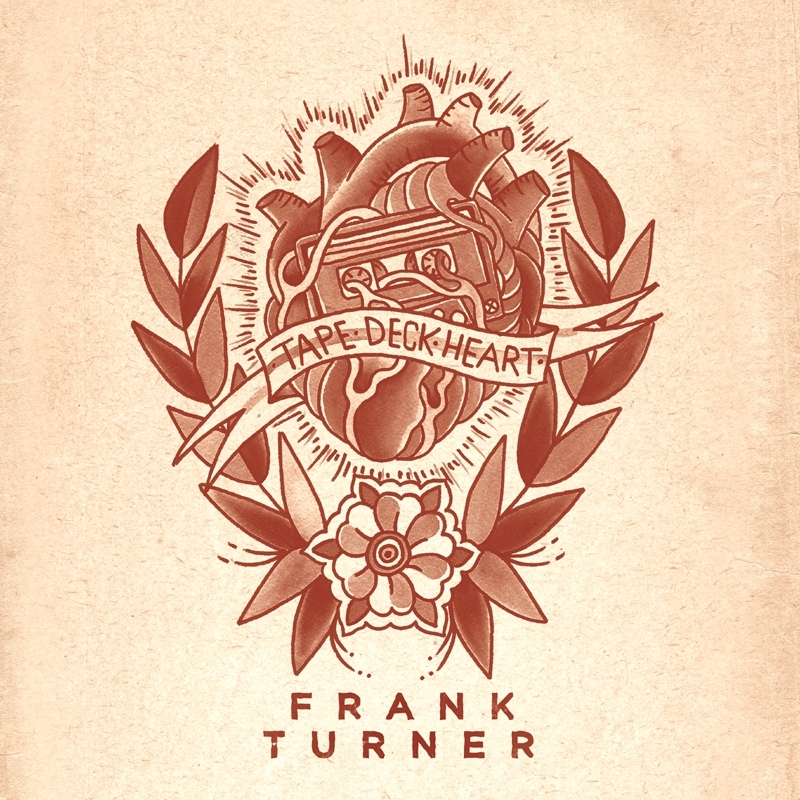 Tape Deck Heart is the fifth studio album of singer/songwriter Turner, the successor of England Keep My Bones in 2011. It is recorded by producer Rich Costey (o.a. Muse/Rage Against the Machine/Weezer/Arctic Monkeys) with The Sleeping Souls as backing band. A few songs are already out in the open, such as Recovery and Wherefore Art Thou Gene Simmons, but Frank Turner also gave Four Simple Words (view video below) and Cowboy Chords away through XtraMile as download as a Christmas present. Besides the normal version of Tape Deck Heart, there will also be a deluxe edition of the cd, containing six extra songs. You can already pre-order them through Frank Turner’s site. Shown below is the artwork and the tracklists for both versions. You can click on the artwork for a bigger picture. If you pre-order Tape Deck Heart, you will get exclusive access to tickets of Turner’s UK tour, 48 hours before they go on general sale. Details about the ticket pre-sale will be sent with the album order confirmation email. This entry was posted on Wednesday, January 16th, 2013 at 2:41 PM	and tagged with England Keep My Bones, Frank Turner, new album, pre-order, release, Tape Deck Heart and posted in Music, News. You can follow any responses to this entry through the RSS 2.0 feed.